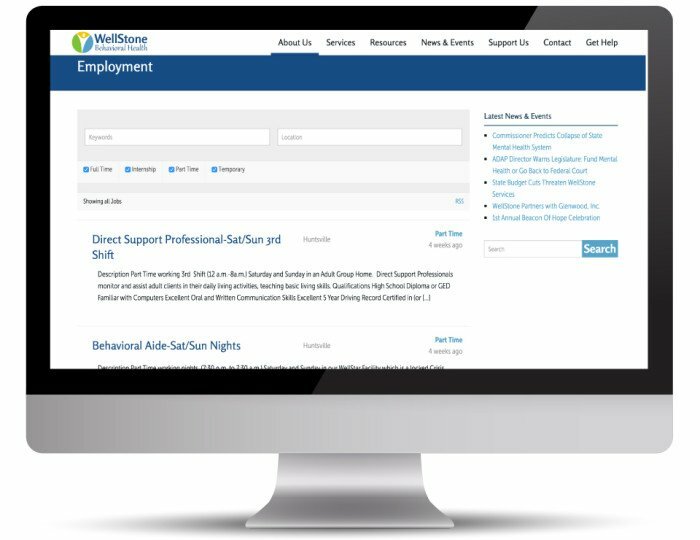 A nonprofit behavioral healthcare provider in North Alabama. After launching their website, there was an increase in the amount of time users spent on their web pages. 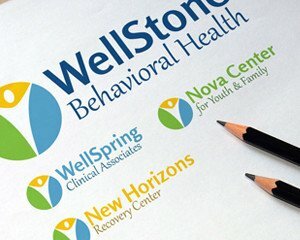 WellStone was looking to completely rebrand their organization to eliminate the stigma of a typical mental health center. They were wanting to expand their reach but felt that the stigma of being named Mental Health Center of Madison County was holding them back. They knew that a complete rebranding would be very time-consuming and would distract them from carrying out important day-to-day tasks to run their business. 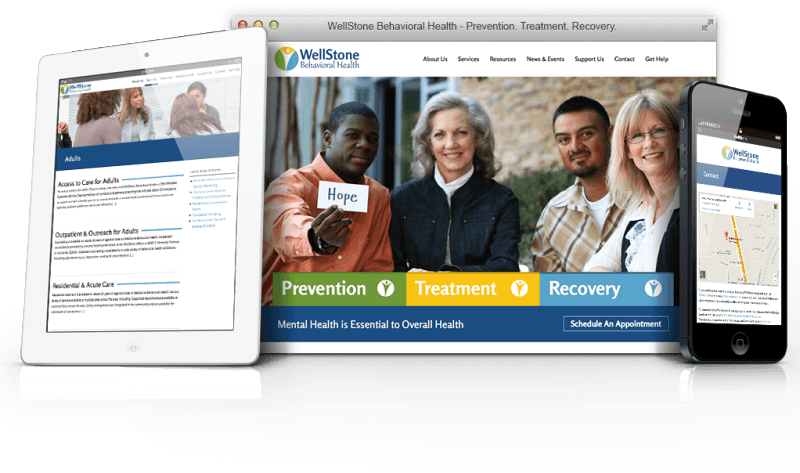 When we partnered with them, we helped them formulate the name WellStone because it had a positive and firm connotation. Our fresh and rejuvenating logo and website design helped them continue to portray this positive image. The new website design is very organized and user-friendly. Additionally, we trained the staff on how to maintain their website, so that they would be able to make their own edits and add content in the future. [We] went through a process of rebranding to include a new name, logo and website. It was a big undertaking for our company but by partnering with the right company the task became much more manageable. Working with Image in a Box was a great decision for our rebranding efforts. [...] They developed a model that didn’t require us to have to pay someone each time we needed a change but rather taught us how to manage the website day-to-day tasks ourselves. As a non-profit, this model works much better for us. I would not hesitate to recommend Image in a Box for your website design and branding needs. 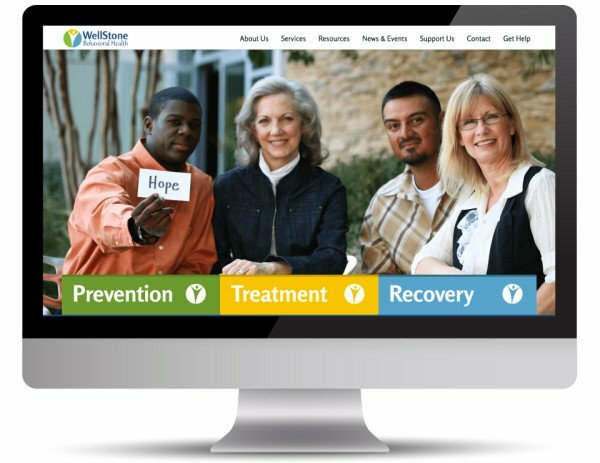 As a result of our rebranding efforts, WellStone received positive feedback from the community. They also witnessed an increase in morale within the organization due to the company being so progressive. Their new and improved look makes them stand out against other behavioral health centers and allowed them to expand their reach. Take a look at the results of our partnership!